Announced this year at the JAEPO, Magicians DEAD is finally out yesterday. 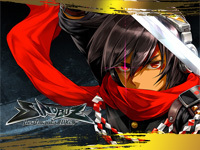 It's the first game released on Byking new arcade platform: the BNAS (provisional name) for Byking Network Arcade System. The BNAS takes advantage of Taito's NESYS system. The game is will be downloaded to the arcade machines from the BNAS server as for NESiCA games and a play costs 100 Yen. 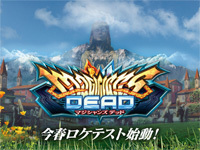 Magicians DEAD is a multiplayer battle action taking place in a "world of magic vs. ESP" world where many characters fight each other. The player controls his character's movements with his hands and fingers, the game features a non-contact Kinect-like motion sensor. He can use various magic or esper powers to defeat the other players. The player can also grasp, lift, and toss objects. Magicians DEAD use the Unreal Engine 4 game engine. The character designer team is composed by famous artists: Shigeto Koyama (Kill la Kill, Big Hero 6), Akiman (Street Fighter 2, Gundam Reconguista in G), Mari Shimazaki (Bayonetta), Aruko Wada (Fate/Extra) and Asai (figma series, Hatsune Miku APPEND). 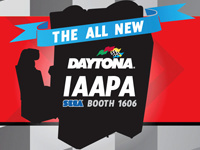 Do you have an arcade cabinet at home? Does it look sad next to your Christmas tree lit up with a thousand lights? So why not brighten up your cabinet or your arcade stick with lit joysticks and buttons? If you were think about it, now is the time to do it! 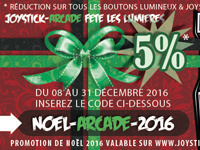 Indeed, our French partner Joystick Arcade offers a 5% discount on these items until December 31, 2016. In order to benefit from this offer, type "NOEL-ARCADE-2016" in the "Vouchers" field of your shopping-cart. Available colours are blue, green, yellow, red and white (only for buttons). The power supply is 12V. Make your choice on www.joystick-arcade.com and do not forget to use the discount code. Thanks to Joystick Arcade and Merry Christmas everyone! Square Enix releases a new musical game today: Love Live! 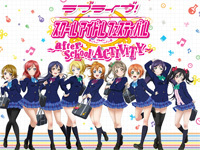 School Idol Festival ~ after school ACTIVITY ~. Love Live! is a multimedia project developped by ASCII Media Works, Lantis and Sunrise about school girls who become idols to save their school that is going to shut down. There are already many adaptations of the project: CD, anime, mangas, and video games. The arcade game is a rhythm game that will be based ond the iOS/Android version. 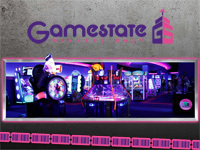 The players must press the buttons at the right time according to the symbols that appear on the screen. They can collect profile and members card. 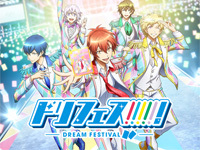 New songs are available compared to the smartphone version as well as outfits for the characters. 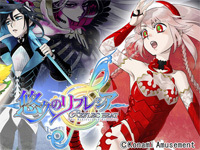 reflec BEAT The Reflesia of Eternity starts operation in Japan today. 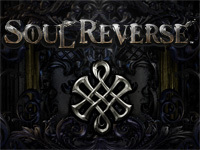 This is the sixth game in the REFLEC BEAT series. This time, the game theme is fantasy. 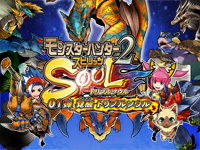 So, fantasy is everywhere in the game: visual, game modes, music, quest. Even Pastel-kun wears fantasy clothes! The main character illustrator is MAYA. reflec BEAT The Reflesia of Eternity introduces new objects: Big Bang Objects and Switch Long Objects that replace the Slide Objects from reflec BEAT VOLZZA. The Big Bang Objects are long horizontal bars that can be touched anywhere. When they are touched, it causes a screen shaking effect. The Switch Long Objects have 2 bars: a yellow (ON) and a purple (OFF), both must be repeat until the end of the object. As usual with new versions, some new songs appear and some songs are removed.